Yosemite! The long waited visit to the jewel of all parks was finally here! The park had just been open for the 2016 season. 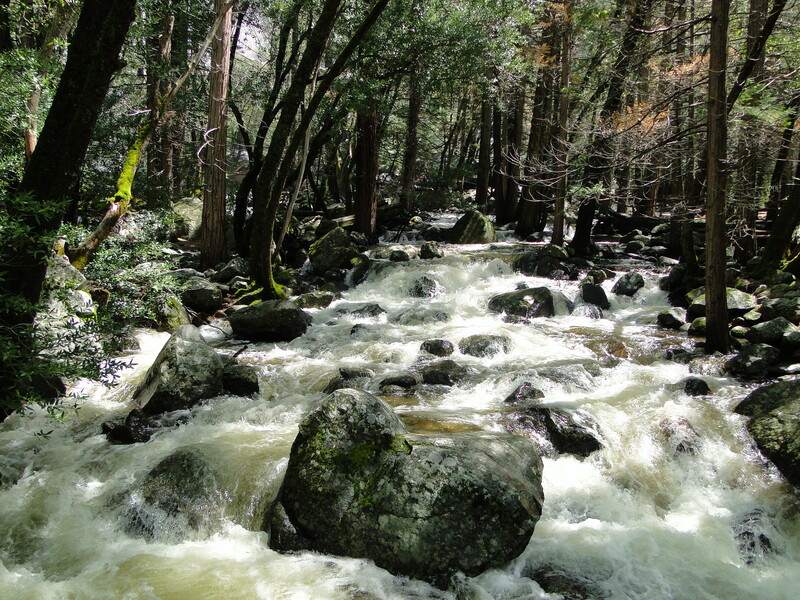 It was a beautiful, sunny Saturday in late April and the entrance fee was being waived to celebrate National Parks week. What a fantastic combination! Although the free entrance did not impact me monetarily speaking as I had the annual pass for the National Parks, it took forever to get through the last half mile before going through the entrance gate. Almost a month on the road had taught me to stay away from the big stars among the National Parks on the weekends, it not always worked that way. I was still on my learning curve as far as planning went. By now I had concluded that no matter how many travel blogs, books and information I had read before getting on the road, nothing could prepare me enough. Perhaps it is an obvious and an understatement to parallel advertising material to a person’s profile picture: it is always the best shot! Brochures of parks and local, state, and national landmarks always have attractive pictures taken on their prime season in handpicked sunny days. Published information hardly brings the “bad” out. Of course they all warn of hazardous and dangers and point out to the things and activities one should or shouldn’t do. 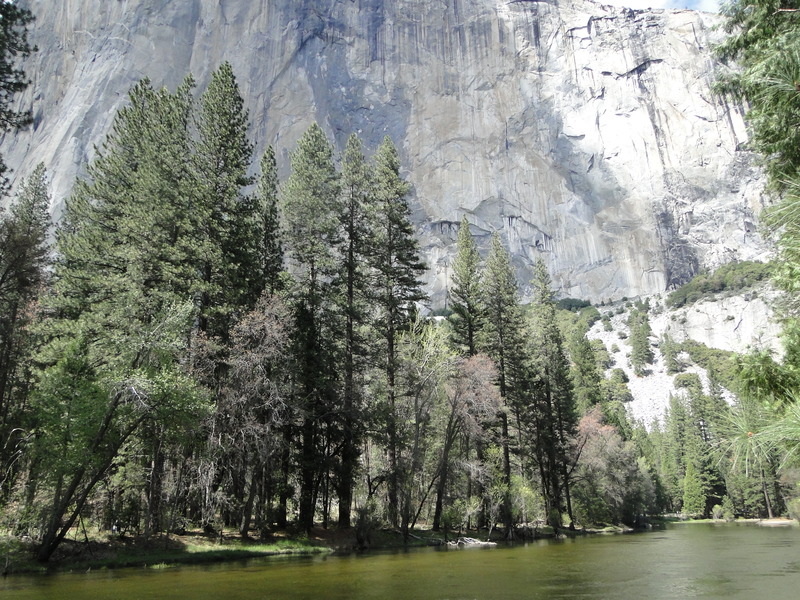 Surprisingly, Yosemite National Park was exactly what the brochures and travel books described. The scenery looked exactly like the pictures I had always seen. If we could only come up with a way to keep drivers from driving twice or more over the speed limit in the park! Signs warning that speed kills bears do not seem to halt the enthusiasm of Californian drivers! I know you are in your own backyard, but please stop getting upset with the tourists who are being respectful of the signs posted in your parks. No, it is not a phenomena that is restricted to California. I experienced the same habit in other areas of the country, but it is in California where that it seems to prevail. The only park until then where I witnessed the park police actually pulling drivers over and fining them for speeding was in Arizona at the Grand Canyon. Spring had just arrived and snow could still be seen in shady areas with some trails still closed. As expected, camping was not available as they were sold out. It never hurts to ask, but I was well aware about the need to reserve a camp site months in advance and the answer was negative. I could either try and camp outside the park or I could return a couple of days later and give it a chance for the first come first serve basis. I also knew that wilderness hiking permits for certain camping areas had to be acquired in advance due to the quota of hikers allowed in the trails. Furthermore, I would prefer to not hike alone. 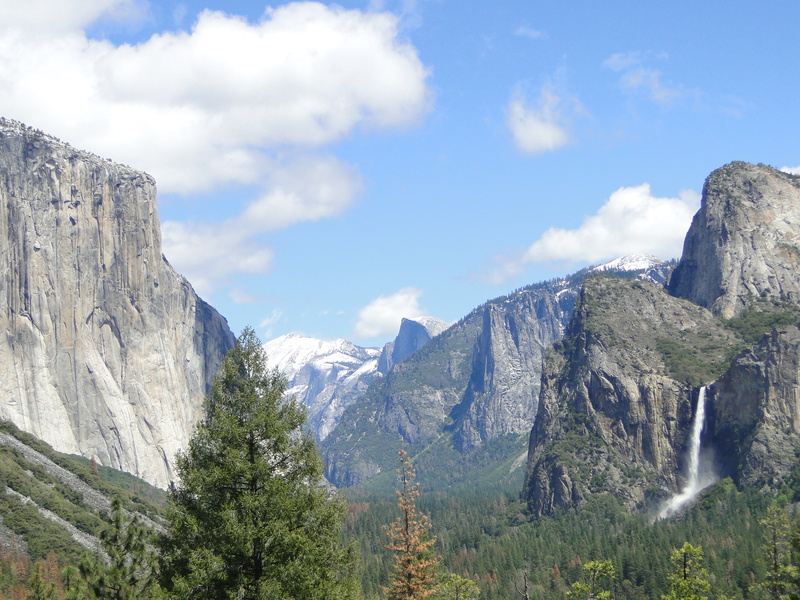 With all these factors in mind, my first visit to Yosemite was not one that would include daring adventures. 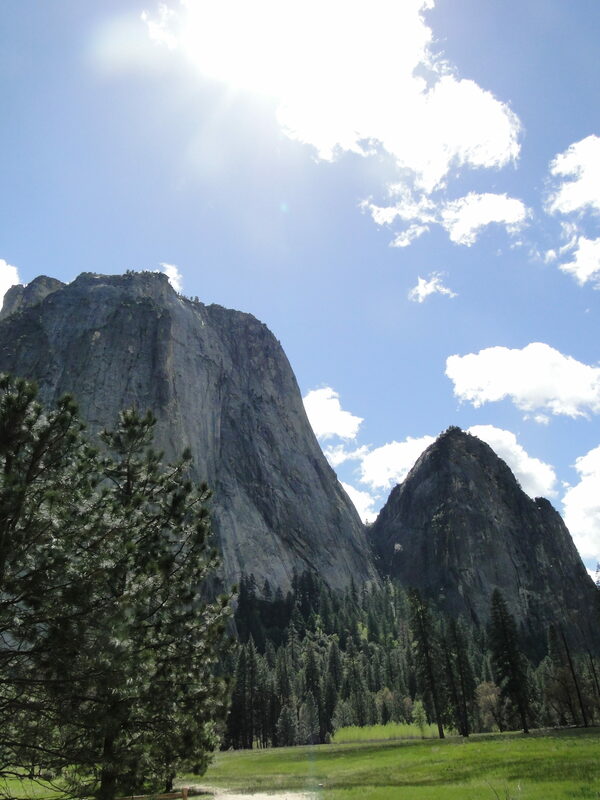 By the way, Yosemite is truly the perfect park for everyone. It gives every opportunity to the most adventurous climbers and hikers, and at the same time it is perfect choice for those who can not enjoy the gorgeous scenery of other parks due to their physical limitations. 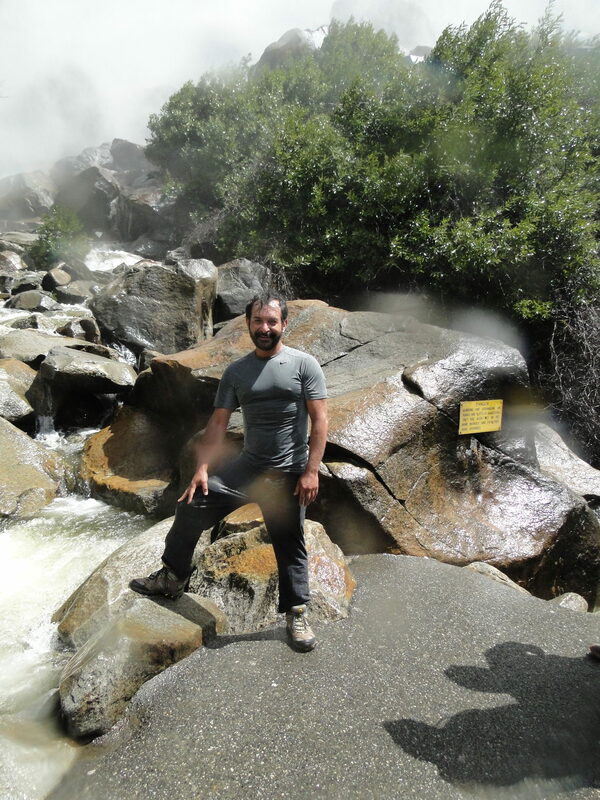 I had met people at other parks who could not hike to the must see landmarks to their physical abilities. 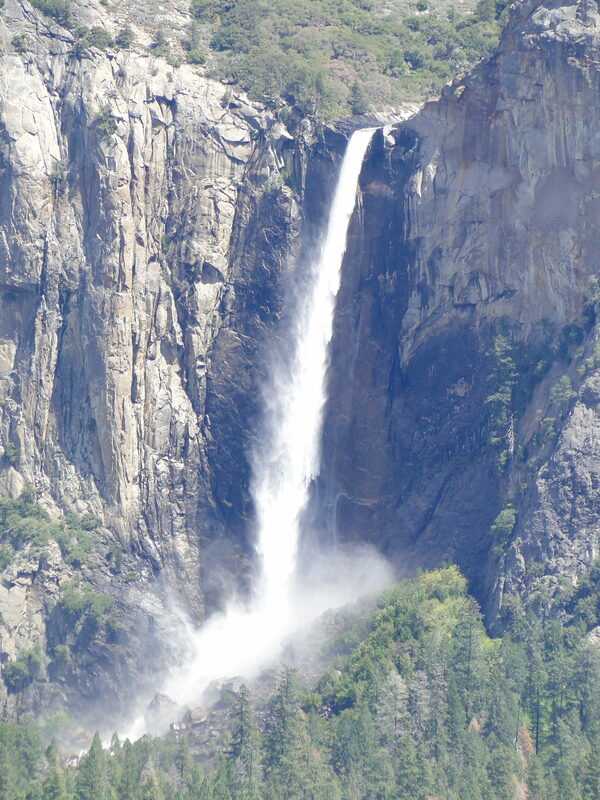 At Yosemite a simple drive exposes the most stunning views, such as Bridalveil Fall, Half Dome, and its valleys and monumental granite formations such as El Capitan.